Flute Choir/Ensemble Piccolo, optional G treble, 4 flutes, alto flute, bass flute, optional contr'alto flute, contrabass flute. This is a full arrangement of the Danses Characteristiques from Tchaikovsky's Nutcracker Suite. 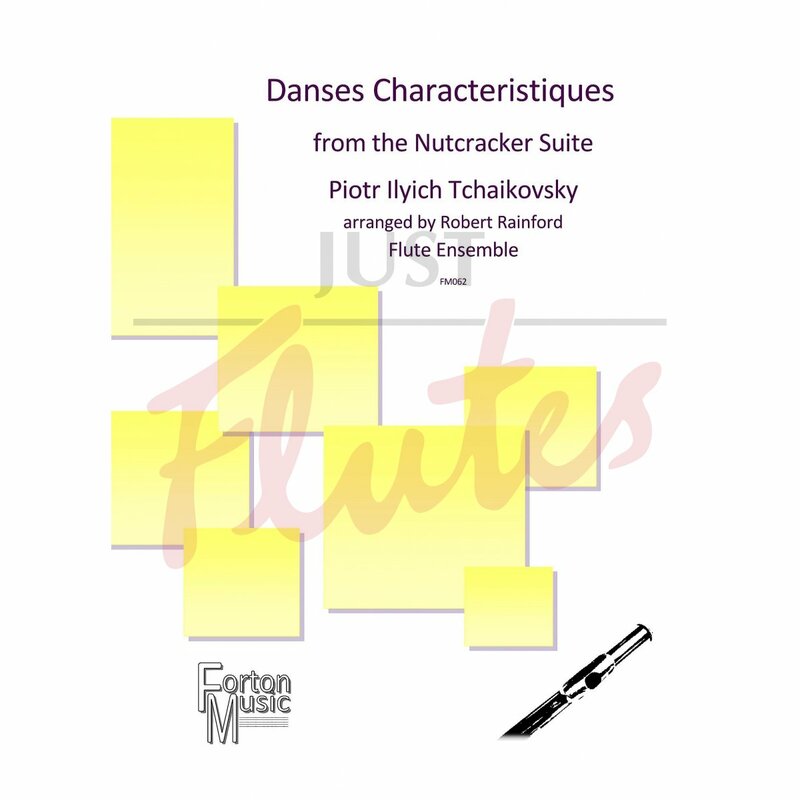 Full of well known tunes these character pieces give larger flute choirs a chance to show their range and flexibility, from the speed and excitement of the Trepak to the sinuous melodic lines of the Danse Arabe. The parts are graduated, with flute 1 being the hardest and flute four the easiest (about grade 3). Includes the famous flute feature, the Danses des Mirlitions.